If you’re also tryharding your way through Solo Queue on Summoner’s Rift, you’ll soon find out that your old 5 Dollar keyboard is not on the same level as your elo. The good news is: good gaming keyboards are not that expensive! Even the gaming keyboards that pro players in the LCS use are often quite affordable. This is why I can only recommend to spend the money on the best keyboard for League of Legends that you can get. As League players have very distinctive needs when it comes to gaming peripherals like gaming mice, chosing the perfect keyboard for you might be a hard task. As I’ve tested nearly all relevant gaming keyboards on the market right now and played my way up to Platinum in League I want to share my experience with you and recommend you the best keyboard for League of Legends! How to find the best keyboard for League of Legends? 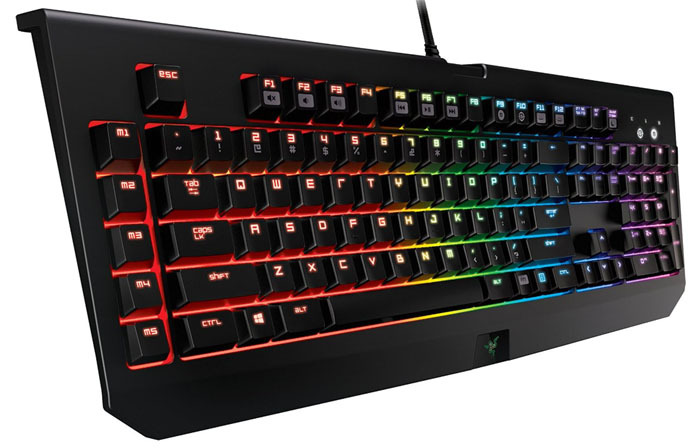 The best gaming keyboard for League of Legends needs to be a mechanical keyboard: they provide huge advantages compared to “normal” keyboards as you’ll have a more precise and more durable gaming keybord. Every single click will have a better tactile feedback and a more direct feeling to it. You don’t need fancy looks or three million macro switches: many peripheral companies just try to milk gamers by having fancy designs instead of good components. The best gaming keyboard for League of Legends for you might look pretty boring – but this is OK as long as you’ll get an advantage on the rift. 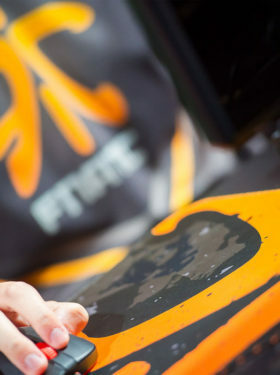 The most important factor is: do actual pro gamers in the LCS use that specific keyboard? This one’s the best sign if a keyboard actual is one of the best ones for League of Legends. If pro players like Bjergsen or Dyrus are able to compete with their keyboard of choice, it has to fulfill a pro gamer’s needs! Which keyboard do LCS players actually use? Razer’s Blackwidow is a keyboard that I love to use myself, just like many of the pro players of the North American LCS! Counter Logic Gaming mostly uses the Blackwidow, as well as Team Liquid (former Curse). Especially the old series with the original blue Cherry MX switches are awesome: although these switches are loud as hell (I love that sound to be honest) they are extremely precise and offer the best tactile feedback. Today Razer uses its own switches which are produced by Kailh. Although these are cheaper to produce, they offer a good tactile feedback in my opinion. They’re quite similar to Cherry MX Brown switches, which are great allround switches for writing and gaming. The Razer Blackwidow also is a great keyboard for League of Legends because of the many variations available on the market: everyone should find the right Blackwidow for his budget. I personally love the Razer Blackwidow Chroma that offers a very fancy LED backlighting you can customize for each switch separately. Other features include great anti-ghosting, a good durability and nice little additions like a braided, sturdy cable. When looking for the best keyboard for League of Legends, why not just have a look at what the best player in the world uses? For League of Legends, the most legendary player in the game is SKT Faker, hailing from South Korea. 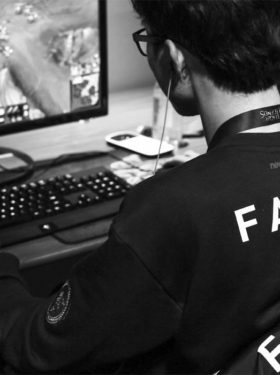 Faker is always using Corsair’s K70 mechanical keyboard, which can also be seen with numerous pro players in North America and Europe. There’s a reason for that: this keyboard is one of the best gaming keyboards for League of Legends you can get on the current market! It’s aluminum chassis offers a very sturdy base to hold the Cherry MX switches. You can even chose between Cherry MX brown, red or blue keys, just as you prefer it! I personally prefer the Cherry MX blues because of their harder tactile feedback, but gamers should normally go for the version with Cherry MX reds. Every single keycap has an individual backlighting as well, so you can adjust that to your liking as well. Corsair’s K70 also has true 100% anti ghosting, so every click will count. 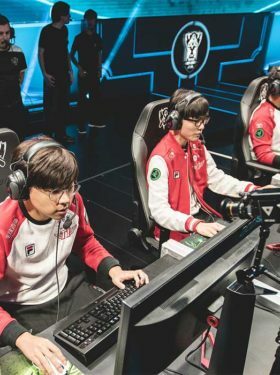 I have to be honest: Faker is not only the most impressive midlaner in the world, but has quite a good taste in gaming keyboards for league of legends as well! When it comes to gaming keyboards you cannot leave out SteelSeries. Not only for CS:GO keyboards, but also for League of Legends its 6gv2 mechanical keyboard is always a great weapon of choice! It is a very puristic mechanical keyboard without any flashing LEDs or fancy design elements (who needs that anyway?). You will just get a great mechanical keyboard with Cherry MX red switches, true anti ghosting and an awesome durability for under 100 US dollars. 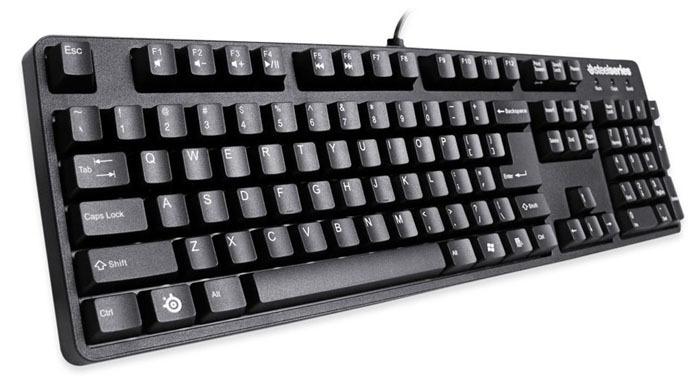 At this price, it’s a steal for a brand keyboard like the SteelSeries 6gv2. I’ve found the Cherry MX reds of the 6gv2 to be great for League as you will only need a minimal amount of force to actually press a button (just 45 cN) – perfect for high APM players! As said, it’s very durable as well. I’m not kidding here, you could use it as a weapon if you wanted to. 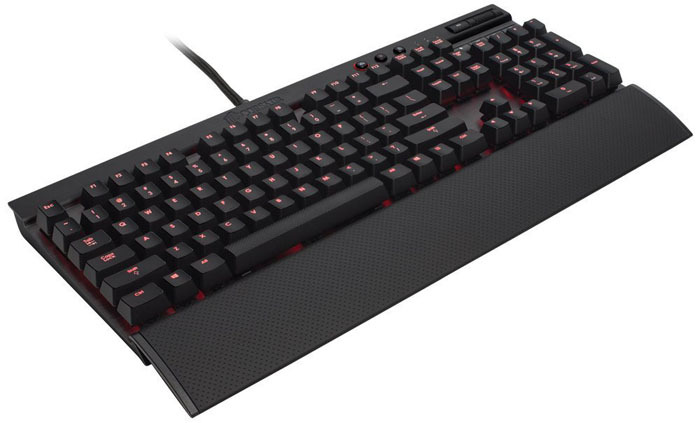 All in all a great deal and a perfect choice as your gaming keyboard for League of Legends! Chosing the right keyboard for League of Legends can be very hard, as there’s just too many different keyboards on the market. I hope that my little guide enables you to make the perfect choice for you, as all three keyboards described above are a great choice for that game! If you prefer an inexpensive model, look no further than the SteelSeries 6gv2 and enjoy its awesomely fast red Cherry MX switches. If you need anything with more tactile feedback and more fancy options, Razer’s Blackwidow is a great choice. When you’re looking for nothing else than the best pro equipment, Faker’s Corsair K70 is the best keyboard you can possibly get. Have fun on Summoner’s Rift!